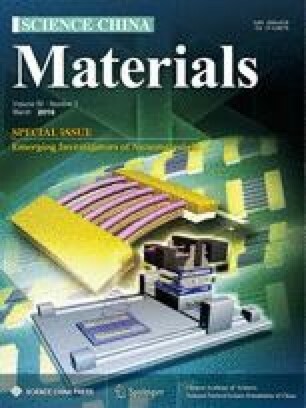 Two-dimensional layered materials have attracted significant interest for their potential applications in electronic and optoelectronics devices. Among them, transition metal dichalcogenides (TMDs), especially molybdenum disulfide (MoS2), is extensively studied because of its unique properties. Monolayer MoS2 so far can be obtained by mechanical exfoliation or chemical vapor deposition (CVD). However, controllable synthesis of large area monolayer MoS2 with high quality needs to be improved and their growth mechanism requires more studies. Here we report a systematical study on controlled synthesis of high-quality monolayer MoS2 single crystals using low pressure CVD. Large-size monolayer MoS2 triangles with an edge length up to 405 μm were successfully synthesized. The Raman and photoluminescence spectroscopy studies indicate high homogenous optical characteristic of the synthesized monolayer MoS2 triangles. The transmission electron microscopy results demonstrate that monolayer MoS2 triangles are single crystals. The back-gated field effect transistors (FETs) fabricated using the as-grown monolayer MoS2 show typical n-type semiconductor behaviors with carrier mobility up to 21.8 cm2 V−1 s−1, indicating excellent electronic property comparing with previously reported CVD grown MoS2 monolayer. The MoS2 FETs also show a high photoresponsivity of 7 A W−1, as well as a fast photo-response time of 20 ms. The improved synthesis method recommended here, which makes material preparation much easier, may strongly promote further research and potential applications. Xiaonian Yang is a master student since 2014 under the guidance of Prof. Caofeng Pan at Beijing Institute of Nanoenergy and Nanosystems, Chinese Academy of Sciences, China. She received her BSc degree at the School of Materials Science and Engineering, Huazhong University of Science and Technology in 2014. Her current research concentrates on two-dimensional materials growth, corresponding device fabrication and their applications in nanoelectronics. Qiang Li received his PhD degree in 2014 from Aarhus University, Denmark. Currently, he is a postdoctoral researcher at the Bio-SPM group, Aarhus University. His current research focuses on the development of novel atomic force microscope technique for probing the physical and chemical properties of new functional materials at the nanoscale. Guofeng Hu received the BSc degree at the School of Science from Tianjin Polytechnic University, China, in 2010. He is currently pursuing his PhD degree at the Laboratory of Piezo-phototronics, Beijing Institute of Nanoenergy and Nanosystems, Chinese Academy of Sciences. His research work is focused on the fields of piezotronics/piezo-phototronics for fabricating new electronic and optoelectronic devices. Caofeng Pan received his BSc (2005) and PhD (2010) degrees in materials science and engineering from Tsinghua University, China. He then joined Prof. Zhong-Lin Wang’s group at Georgia Institute of Technology as a postdoctoral fellow. He is currently a professor and a group leader at Beijing Institute of Nanoenergy and Nanosystems, Chinese Academy of Science since 2013. His main research interests focus on the fields of piezotronics/piezo-phototronics for fabricating new electronic and optoelectronic devices, nano-power source (such as nanofuel cell, nano biofuel cell and nanogenerator), hybrid nanogenerators, and self-powdered nanosystems. He has published over 50 peer reviewed papers, with citation over 1000 and H-index of 19. Details can be found at http://piezotronics. binn.cas.cn/. Supplementary material is available for this article at 10.1007/s40843-016-0130-1 and is accessible for authorized users. 二维层状材料由于其在光电器件方面的潜在应用引起了广泛关注, 二硫化钼(MoS2)是其中研究最多的材料之一. 单层二硫化钼可通过机械剥离或者化学气相合成的方法制备, 但是与石墨烯相比, 大面积且高质量的单层二硫化钼单晶的可控合成仍然有待提高. 本文报道了一种可控合成大面积高质量单层MoS2单晶的方法, 合成出了边长达405 μm的单层二硫化钼三角形. 对产物进行了光谱表征, 结果表明其光学性质十分均匀, 透射电镜表征结果表明产物是单晶结构. 基于单层MoS2的场效应晶体管(FET)表现出良好的电学性能, 其载流子迁移率高达21.8 cm2 V−1 s−1,光响应度为7 A W−1, 响应时间仅为20 ms. 此合成方法使单层MoS2的制备更加简易可靠, 可促进其进一步研究及应用. Supplementary material, approximately 799 KB.